If you haven’t, it’s definitely time to take the trip. That’s because this dynamic state is home to the Cuyahoga Valley National Park. National parks in Ohio have long been known as some of the most beautiful in the country, and Cuyahoga National Park is no exception. Here you’ll find a number of fun activities for the whole family to enjoy. Get back to nature with hiking, swimming and biking as you explore the park and the rich history that surrounds it. 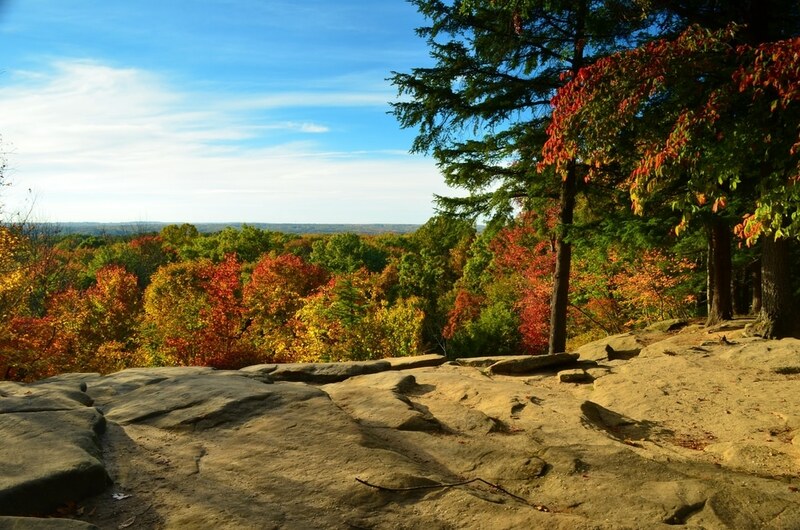 Cuyahoga Valley offers an experience rich in Ohio nature. Come here in any season to experience outdoor adventures of all kinds. The Cuyahoga River is the main waterway in the park, and it’s open for you to play around in. Here you can canoe or kayak down 100 miles of gorgeously roiling waters, with not a soul around to witness how cool you are. Explore the ponds (all of which are open for you to paddle through) or float down the main waterway when the water levels permit. You can bring your own unmotorized boat, or rent one from surrounding facilities. Cuyahoga Valley National Park trails are ready for your feet! Over 125 miles of trails stretch through the CVNP, offering you the hike of a lifetime through a variety of natural habitats. Vast fields, thriving wetlands, and green forests await you here. Hike across trickling brooks on your way to enjoy the view from the tall hills surrounding the park. You can take on easy trails or difficult trails. Hikes can range from minutes to hours to days, so there’s sure to be something here for you. The CVNP is a great place to bring your mountain bike. There are 5 biking trails for your enjoyment. Check out the Bike Aboard program, which lets you bike along the Towpath Trail before riding the train back down again. The bike paths span most levels of difficulty. No matter what your preference is, the park has a trail for you. Once you get to the valley, you won’t want to leave. That’s ok. You don’t have to. Cuyahoga Valley National Park camping is a fun way to experience the best of the park. There are a few options for staying in the park. There are five primitive campsites in the park. These can be used from Memorial Day to October 31st (Halloween in the park? Yes, please!). You can reserve your space ahead of time. Spontaneous campers can walk-in up until May 1st, from which time reservations are required ahead of time. The price is 25 dollars per night. Reserving ahead of time costs an additional $3.50. The campsite can house 2 tents or up to 6 campers. Recreational vehicles are welcome to park in trailhead parking lots during the day. Overnight RV camping is prohibited. For those who may not want to get primitive, Stanford House is open year-round. This historic building provides comfortable accommodation and a look into the past. The Inn at Brandywine Falls is another great option for lodging inside the park. Originally built in 1848, the inn offers easy access to the falls, luxurious accommodation and great food. Canal Exploration Center: The Canal Center has been around since the mid-1800s. Here you’ll be able to see what life was like during the era of economic prosperity brought by the canal. Listen to stories, see reenactments, and simply enjoy the view! Everett Covered Bridge: The Everett Covered Bridge was instrumental in the transportation and economic growth of early people. It’s the only bridge left in the county, and one with a colorful history at that. Learn about the lore of the bridge on-site and maybe have a photoshoot if the weather is nice! Jaite Mill: The Jaite Mill came under construction in 1905. It was the basis for the town to grow and become prosperous, providing employment and economic stability in the area. Operational until 1984, the mill had a long and rich working history. Learn more on-site during your next visit. Cuyahoga Valley is truly a gem of the United States Midwest region. The park provides hours, days and weeks worth of fun for millions of visitors every year. There’s no reason why you can’t join the ranks of those that return time and time again. Cuyahoga Valley National Park awaits you and your family this year!